Platycodon 'Hakone White' is an elegant balloon flower with pure white, double flowers from midsummer to fall. It goes with nearly everything in the garden, and it's perfect for cutting. 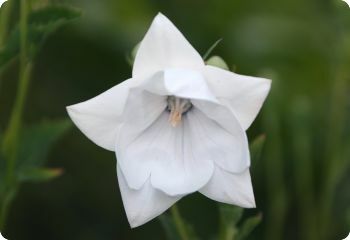 Hakone White balloon flower often blooms the first year from seed if started early indoors. Platycodon grandiflorus is deer resistant. Hardy perennial in zones 3-9.